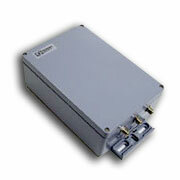 This Full Duplex amplifier is ideal to recover the signal losses due to long transmission cables. Available in 1W, 2W and 4 Watt output. transmission cables. Available in 1W, 2W and 4 Watt output. Four separate versions available for various channels plan options. Product Note: The Amplifiers listed on this page may also be referred to as: 4.9GHz – 5.3GHz – 5.7GHz – 5.8GHz amplifier, 4.9GHz – 5.3GHz – 5.7GHz – 5.8GHz amp, 4.9GHz – 5.3GHz – 5.7GHz – 5.8GHz amplifier, 4.9GHz – 5.3GHz – 5.7GHz – 5.8GHz signal booster, 802.11 amplifier, 802.11a amplifier, 802.11h amplifier, 802.11a – 802.11h – 802.11j amplifier, 802.11 signal booster, 802.11a signal booster, 802.11j signal booster, 802.11a – 802.11h – 802.11j signal booster, antenna booster, AGC amplifier, antenna amplifier, Bi-directional amplifier, bidirectional amplifier, hotspot amplifier, integrated amplifier, PoE amplifier, RF amplifier, RF power amplifier, RF signal amplifier, video amplifier, wifi amplifier, wi-fi® amplifier, wireless amplifier, wireless LAN amplifier, and wlan amplifier.